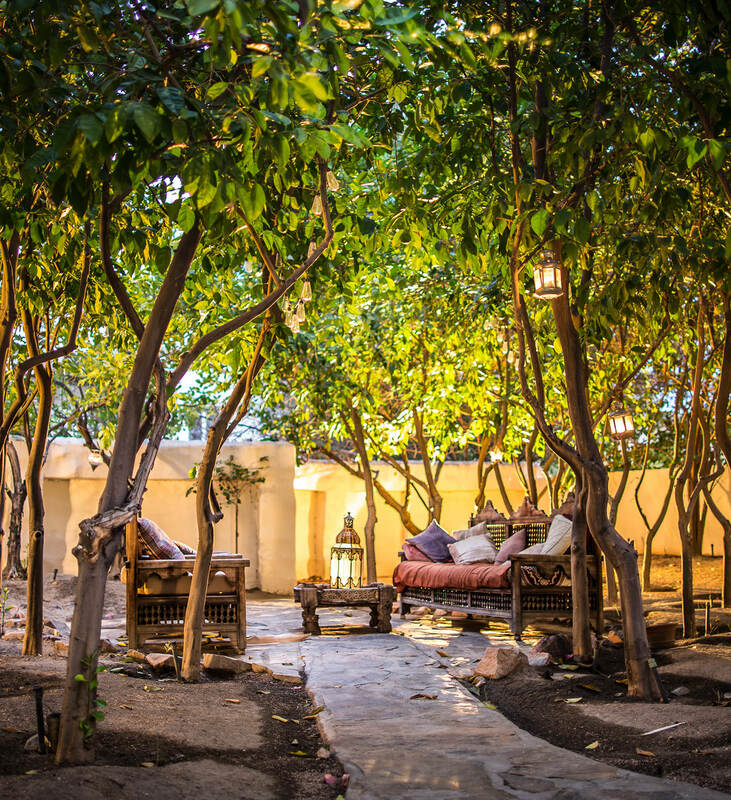 Begin the day with a complimentary full-cooked breakfast in the Moroccan courtyard. Soothe your soul poolside, seek healing through yoga or pamper yourself with our spa offerings. Curl up with a vintage book from the library lounge.Korakia Pensione offers a unique and relaxing getaway from day to day reality. Crafted after a Mediterranean-style pensione, Korakia blends the silhouette of Tangier with a whisper of the Mediterranean. 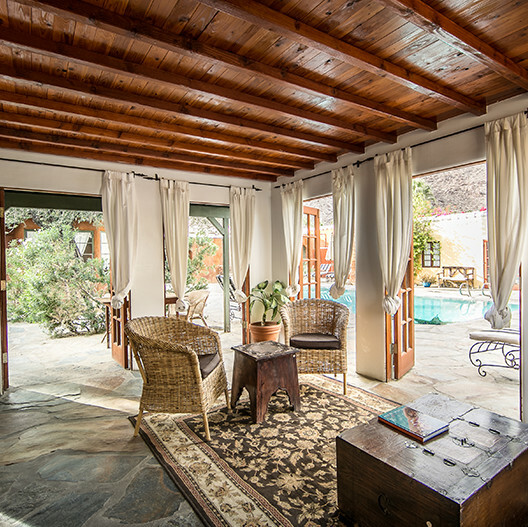 Drink in sweeping views of the mountains as you soak in the therapeutic pools and hot tub, pamper yourself with a healing spa treatment, and connect over memorable al fresco meals and communes around the fire pit. Join a game of bocce ball or explore downtown Palm Springs on one of our complimentary bicycles. Relax and refresh with the Moroccan tea service each afternoon. Lanterns and fire-pits flicker, illuminating the heated pools at night. Classic and foreign films glimmer on a nearby screen. 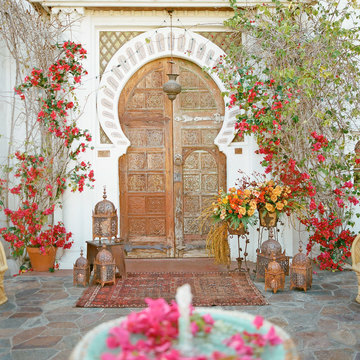 A Moroccan daybed beckons for stargazing. Nightly turn-downs are done in the European tradition.